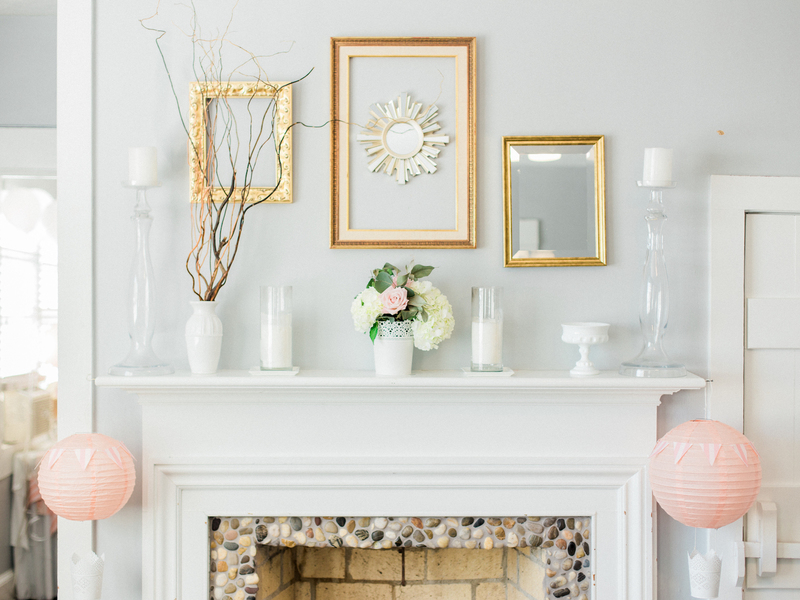 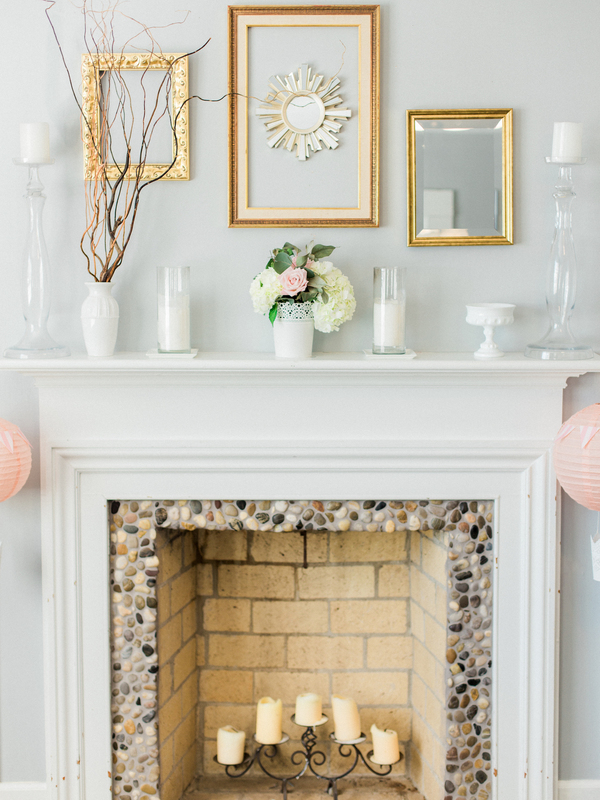 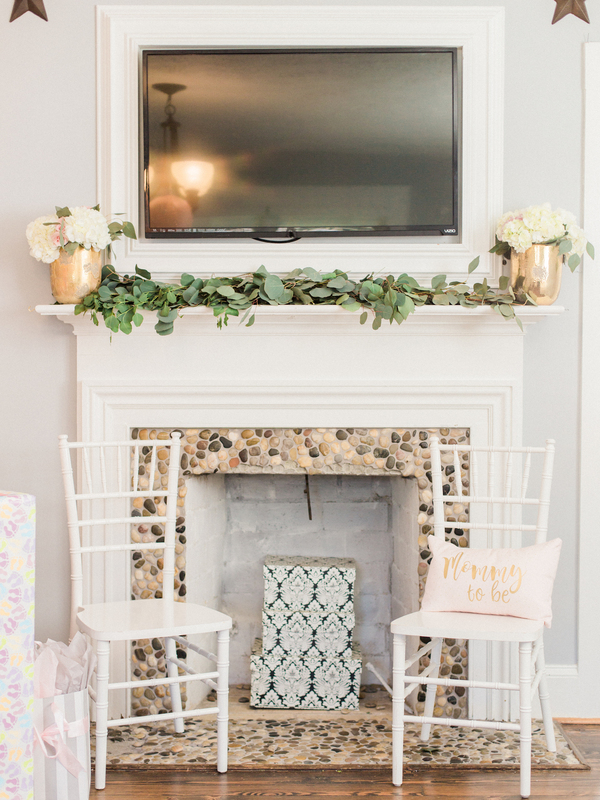 Feminine and Travel Themed Baby Shower for Baby Olivia at The Gilbert House in Roswell, Georgia | Atlanta Fine Art Event Photographer | Georgia Fine Art Portrait Photographer | Atlanta fine art portrait photographer for the joyful and romantic souls in Georgia and throughout the southeast. 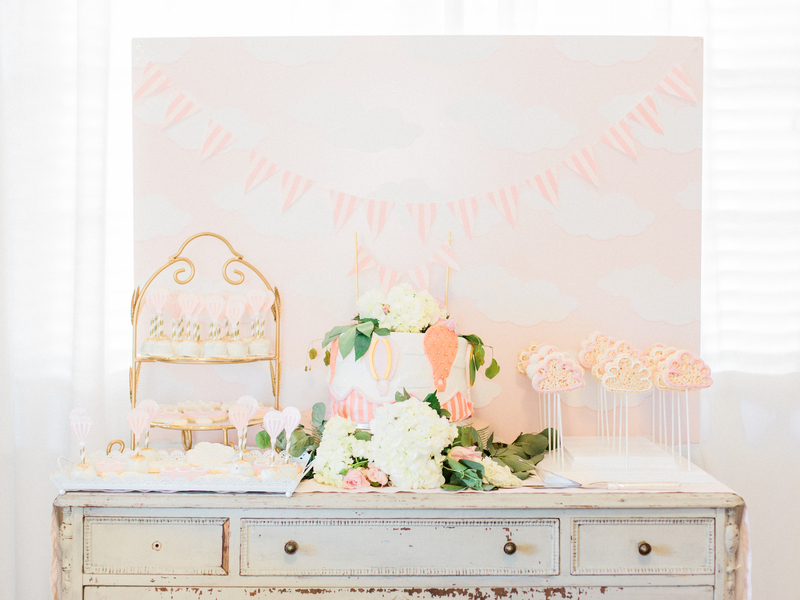 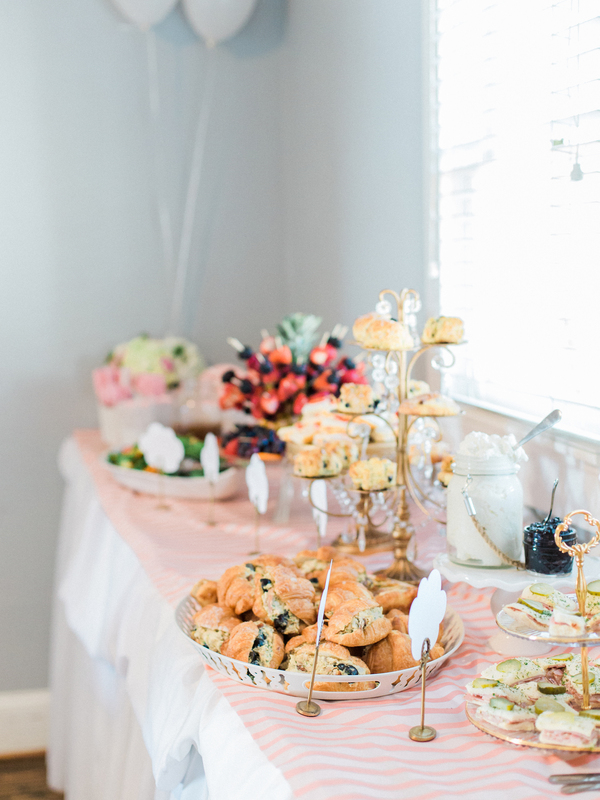 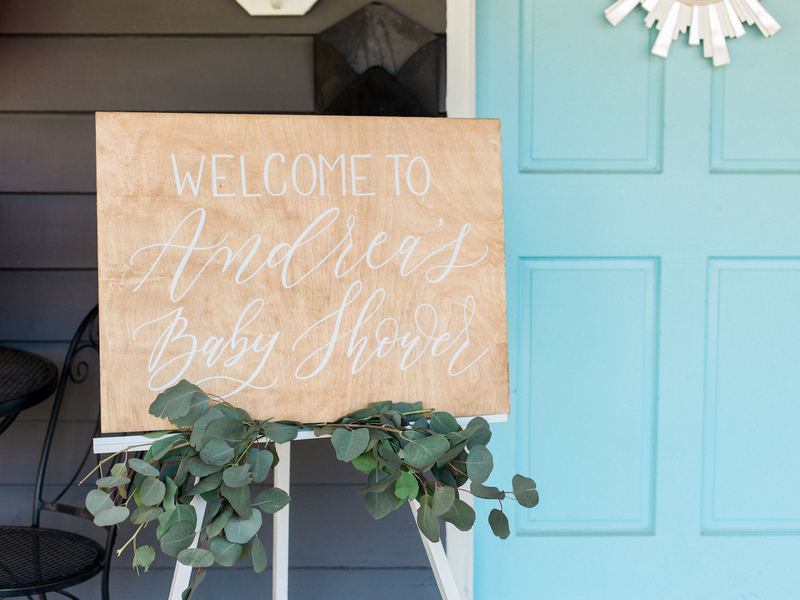 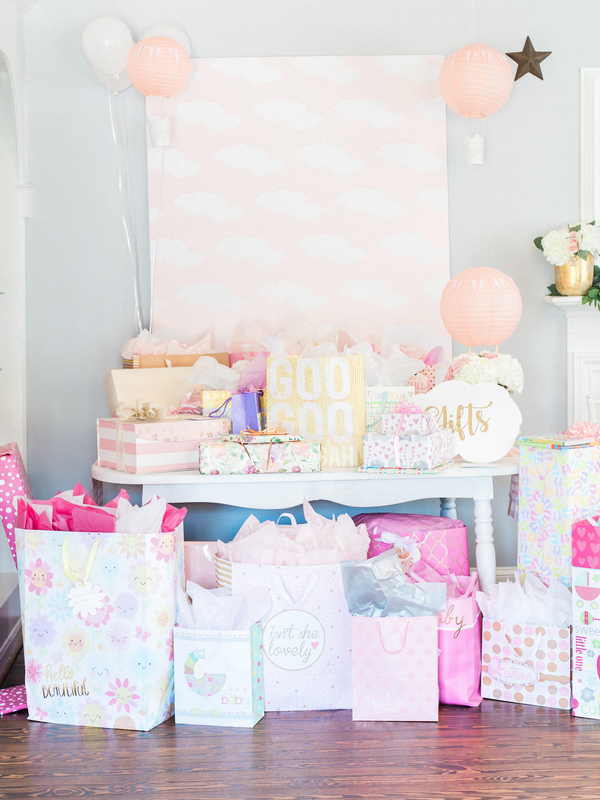 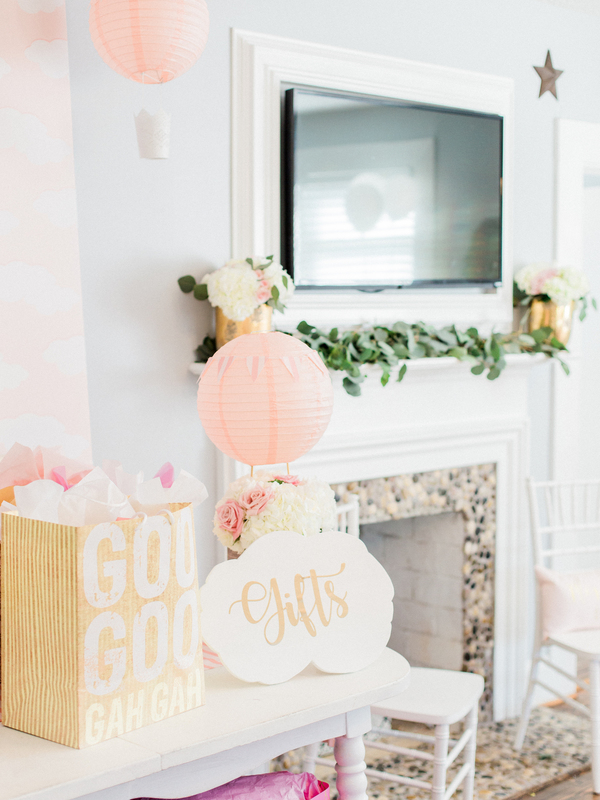 Andrea’s baby shower was thrown by her incredibly talented sister, Farren of Pretty Peachtree, who hand makes custom event decor and invitations. 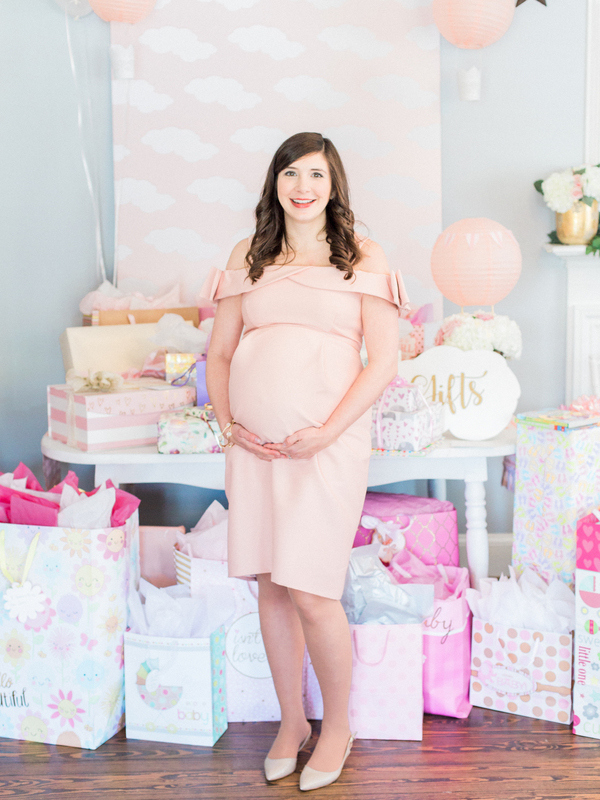 When Farren reached out to me to photograph the celebration of her sister’s first baby, I was so excited by her joy and her vision for this once-in-a-lifetime event! 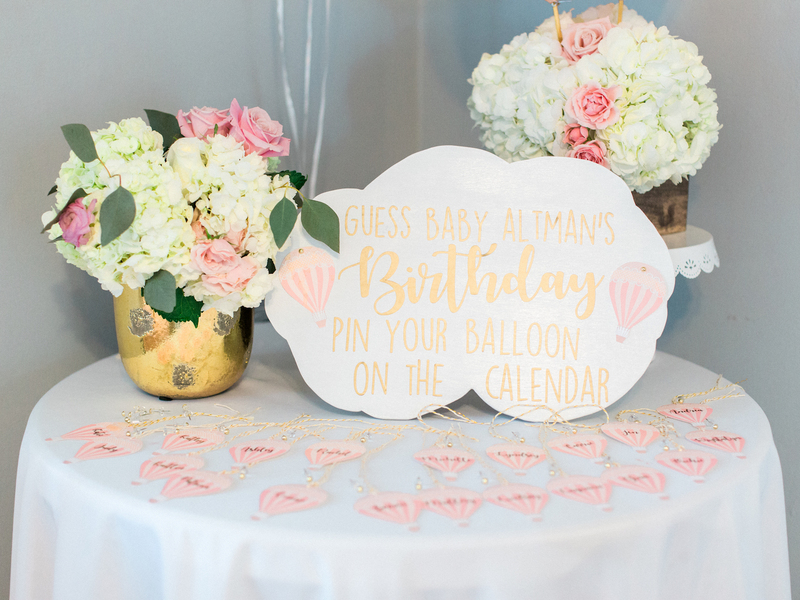 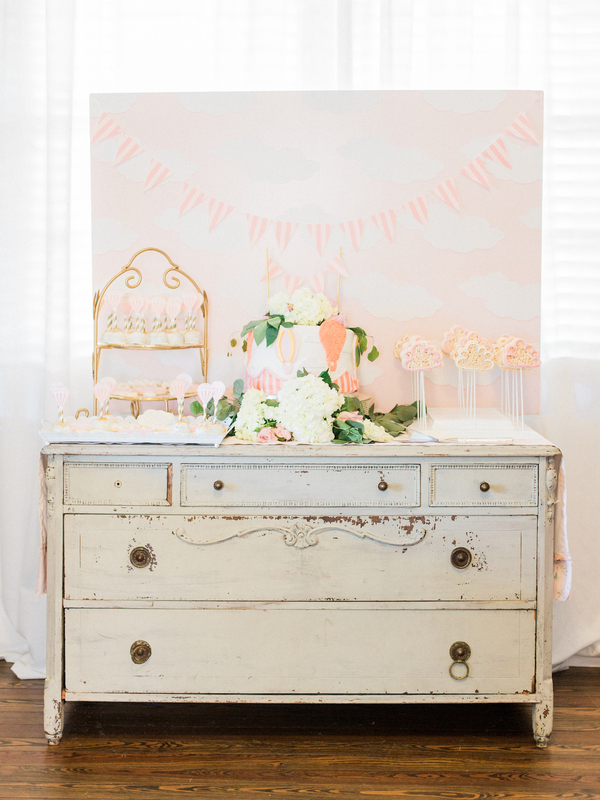 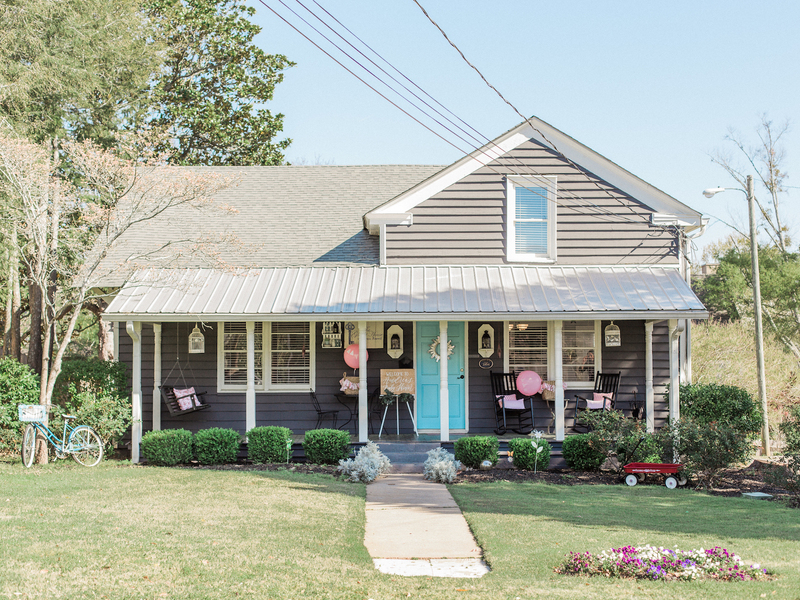 When I first arrived to The Gilbert House I was greeted by Farren and Andrea’s sweet mother, Vicky, a gorgeous, custom, wood sign by ElisaAnne Calligraphy decorated with eucalyptus, and pink balloons adorned with dainty, pink banners handmade by Farren. 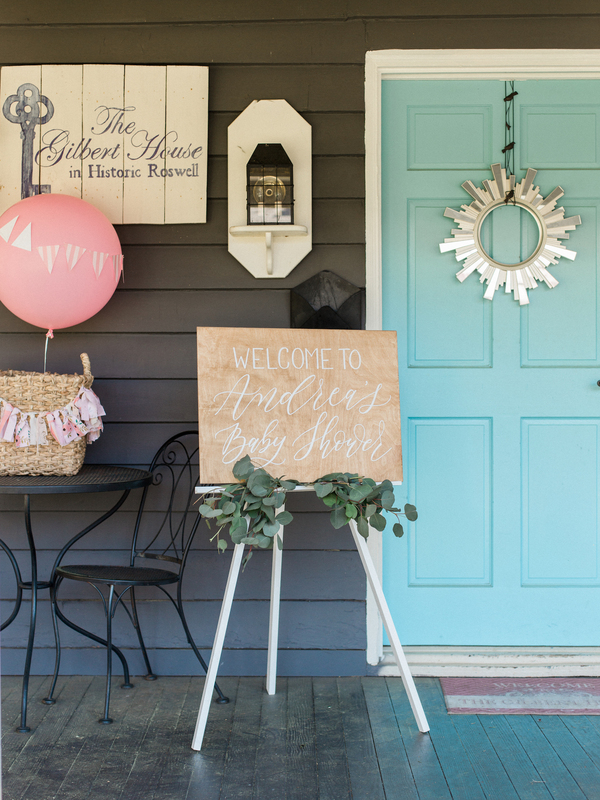 As soon as you stepped inside The Gilbert House it was evident just how much work Farren and her mother put into this baby shower! 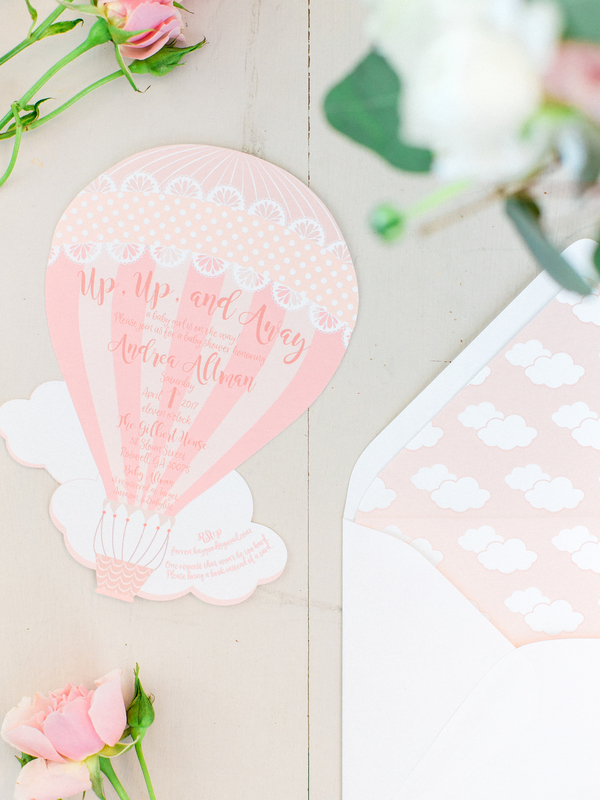 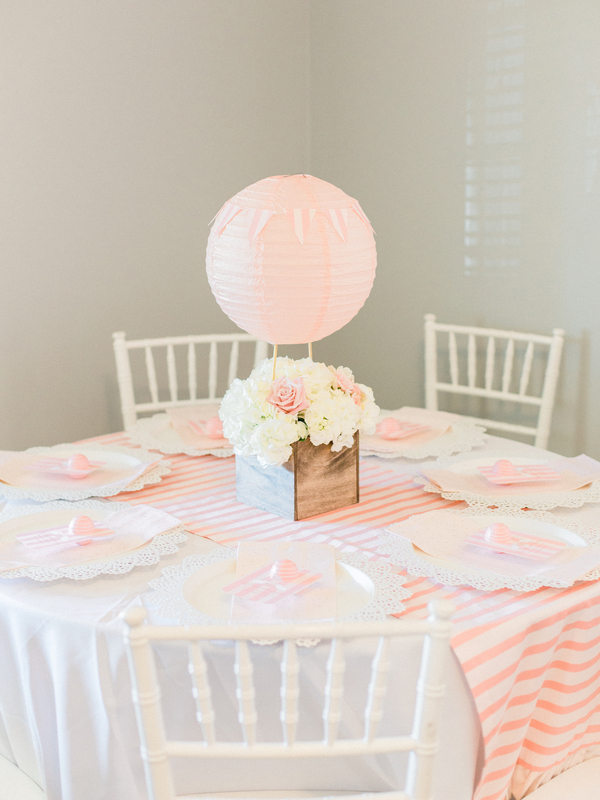 Handmade pink hot air balloons hung from the ceiling and sat atop various pieces of furniture. 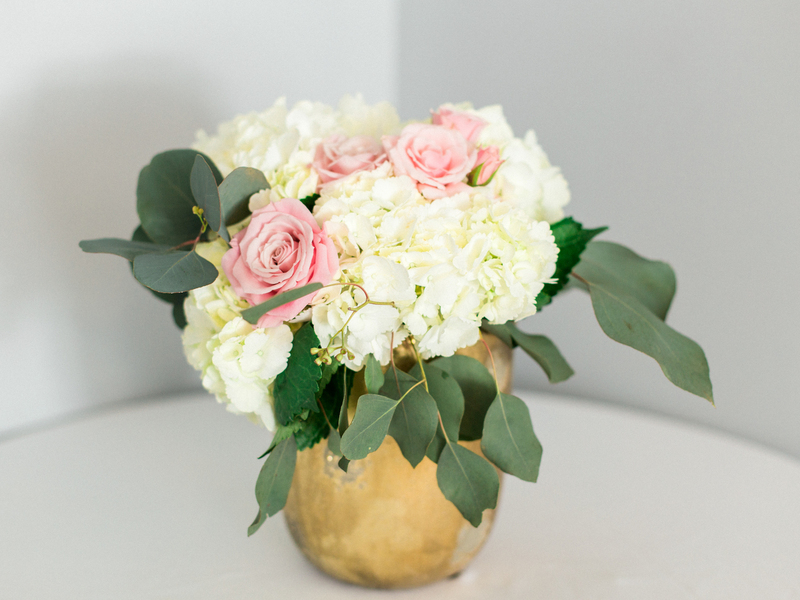 Lovely hydrangea-filled floral arrangements were tastefully on display. 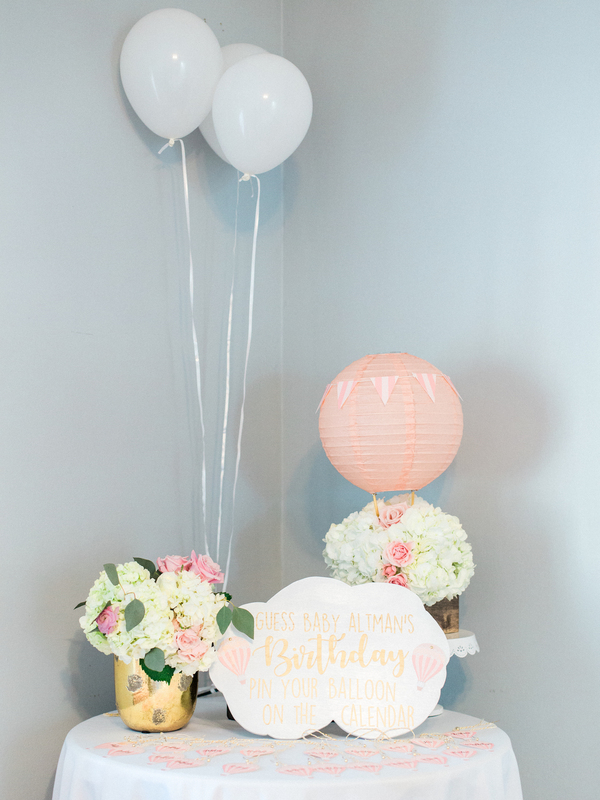 I was so impressed to hear that Farren had arranged the flowers herself after ordering them from Costco. 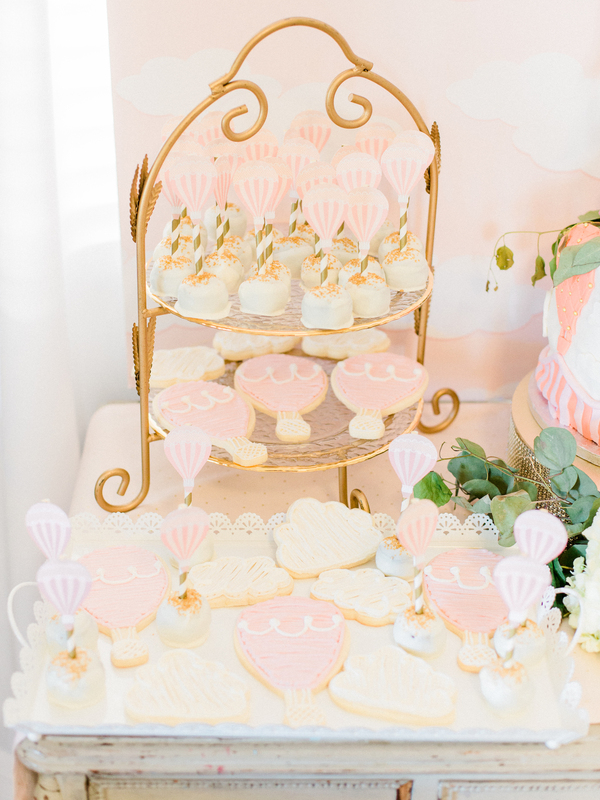 I was particularly tickled by how adorable the desserts were for Andrea’s baby shower. 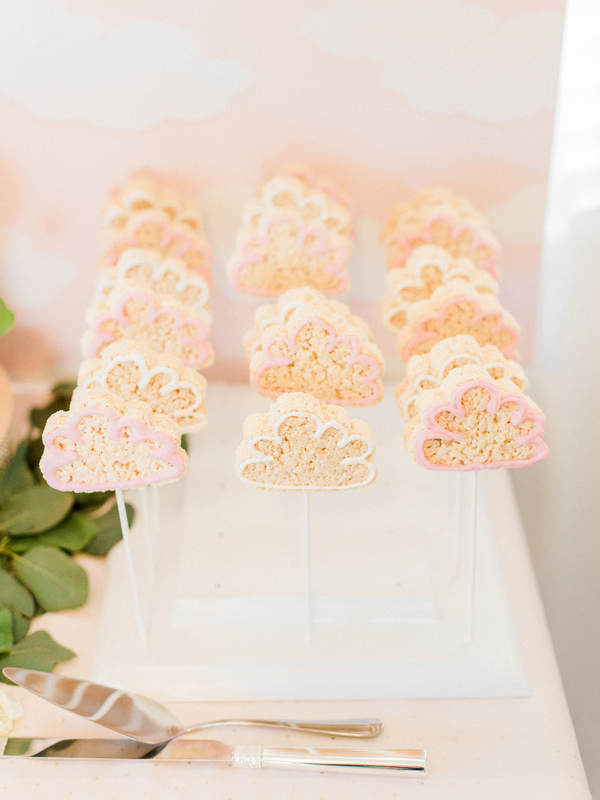 Farren made the cake pops herself, and Vicky- Andrea and Farren’s mother- made the cloud-shaped rice krispy treats and hot air balloon cookies! 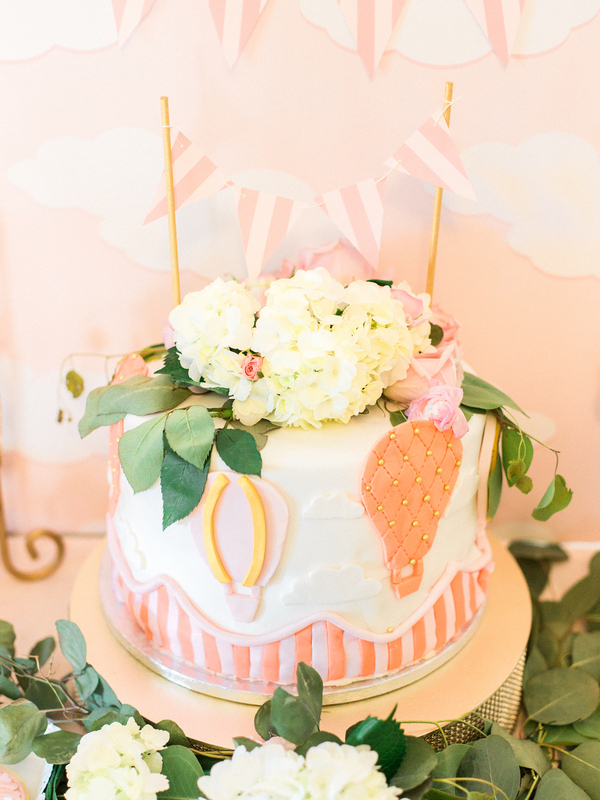 The wildly cute hot air balloon cake was made by Jenn’s Sugarlicious Bakery in Gastonia, NC. 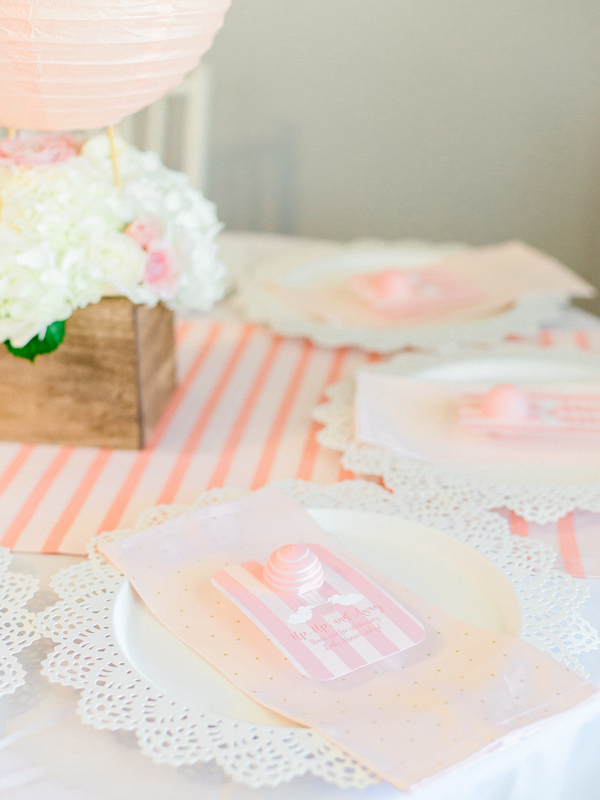 All in all, it was such a love-filled and joyous event. 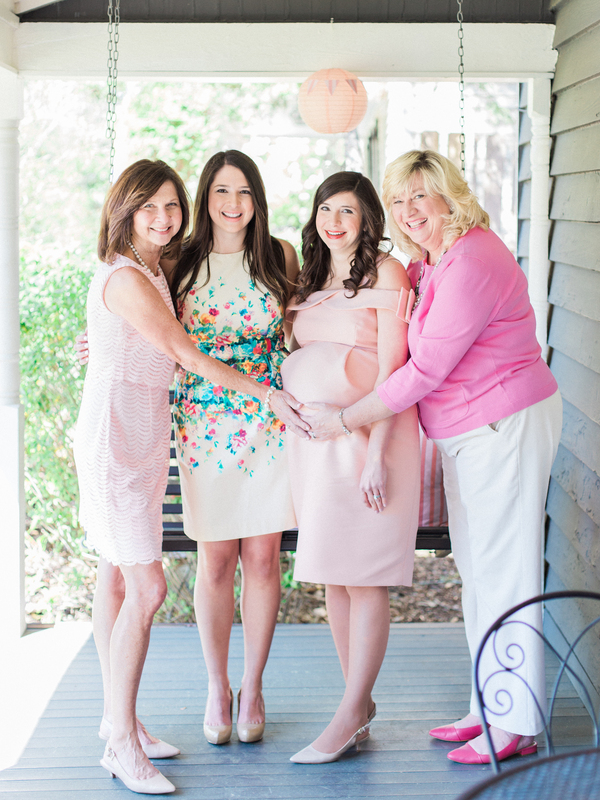 Andrea and Farren’s family were so sweet to spend time with and photograph. 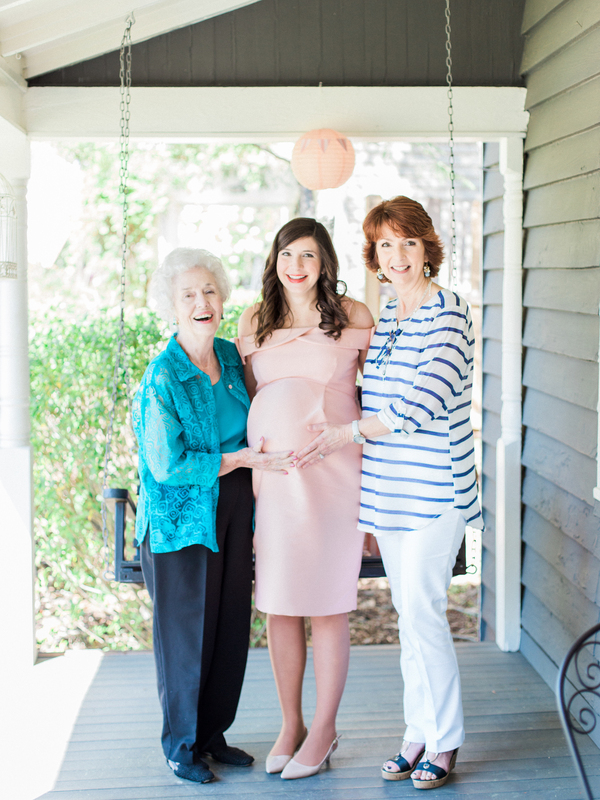 Baby Olivia has such a loving family! 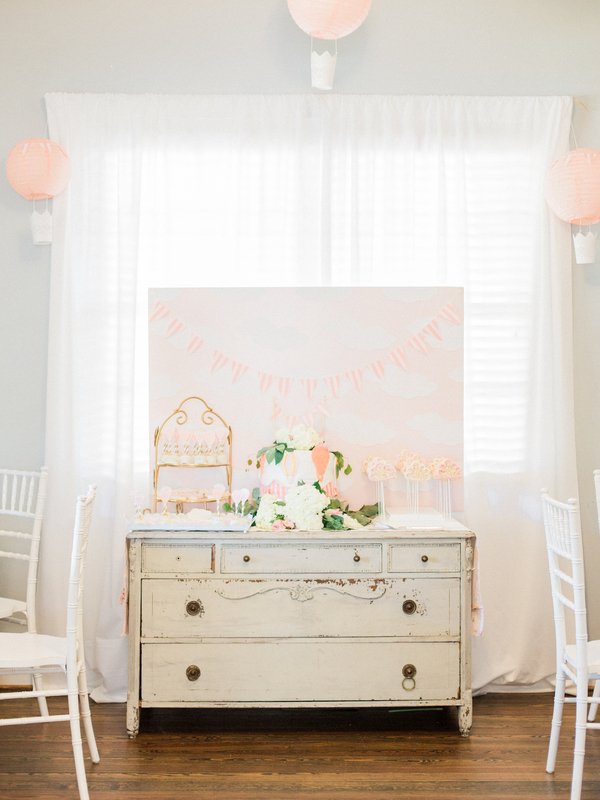 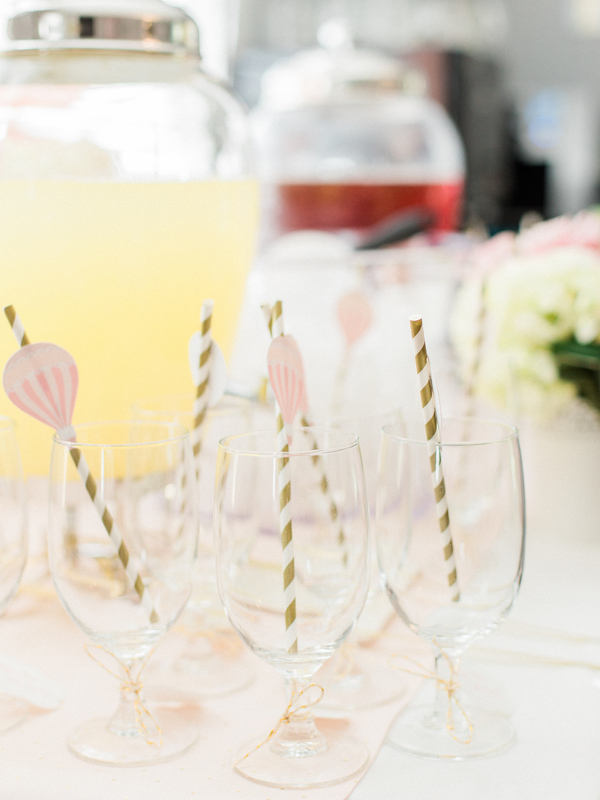 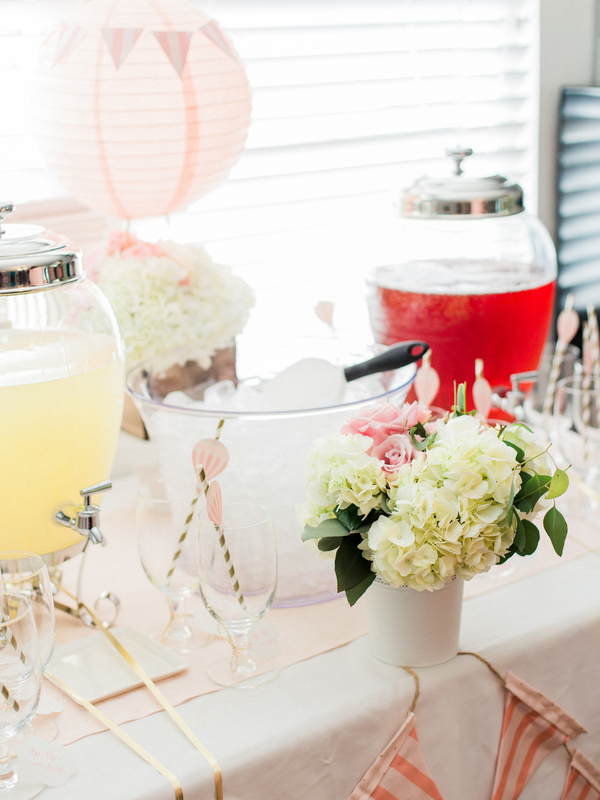 As seen on Kara’s Party Ideas! 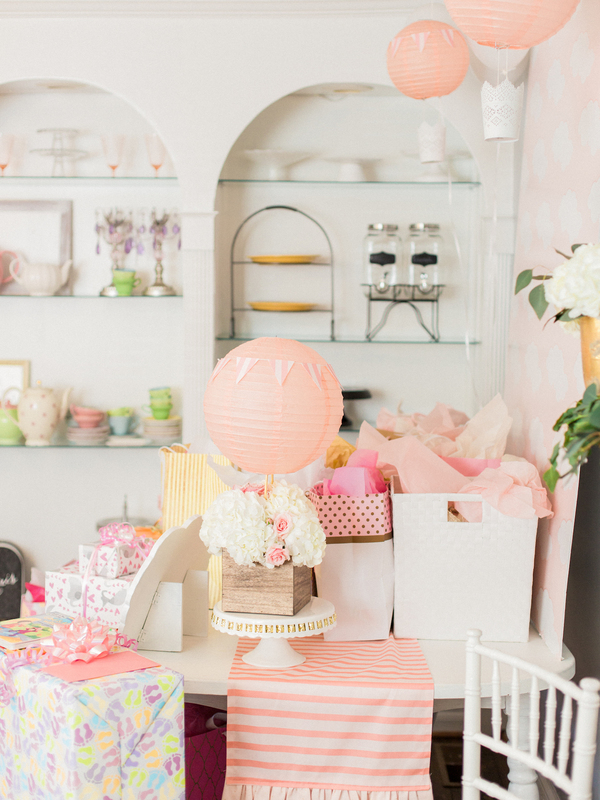 Visit the feature here!